If you’re looking to invest your hard earned money on a gaming PC processor then doing a bit of research can make wonders of difference for the price you’re willing to spend. There is no doubt that in this era that offers so many options i.e. coffee lake chops, Core X & Ryzen; buying a processor PC can be complicated but don’t you worry! We’ve got you covered. When you’re through with this article you’ll be able put your hands on the best CPU for gaming that will not make a hole in your wallet. So gamers, let’s jump right into it. The essential component and the core of a computer is the central process unit, the CPU. When it comes to gaming, for good performance it is vital that you get the right central processing unit otherwise brace yourself for a poor gaming experience. There is no doubt that games are heavy and the performance majorly depends on the CPU – you cannot just hope that your graphics card will be fully fed when all your focus was on getting a few speedy cores involved. This article will help you get your hands on the best CPU but it would be better if you select other components with research too. The processor is the most important part hence you have to be extra careful as it’s expensive. It’s better to take the extra time to get a processor with specifications that will improve the performance of your computer. Following are top 9 gaming CPU that isn’t only perfect for your gaming PC but also will enhance your gaming experience immensely. The next section is the detailed review of all these processors. In a market with such wide options, you all must agree with me that selecting only 9 best gaming processor is a challenge in itself. I picked these 9 best gaming processors while keeping in mind the different kind of personalities of gamers. I’m confident that every type of gamer can choose the most suited processor for his gaming preference and personality from these 9 PCs. We’ve also kept in mind the budget issues and specially selected and thoroughly reviewed 3 best budget gaming CPUs that users can go for without compromising their gaming experience. Below are detailed reviews of all these processors. When you’re done reading this article, we’re certain that you’d have selected the best processor for yourself. As mentioned earlier, selecting the best processors in such a challenging market was time-consuming and hard but was definitely worth it. Following are the reviews of those processors and we hope to give you all the information that is needed to select the gaming processor for you in the market. There is no doubt that Intel has been one of the leading choices of PC fanatics but when AMD launched its eight-core Ryzen processors into the market; Intel had to come up with a strategy to stay competitive as Intel’s quad-core were at the same price range as Ryzen with much less to offer than Ryzen. Ryzen changed the market completely and gave many Intel chips a hard blow. In response to this, it is safe to say that Intel as for the first time they took the desktop processors directly from 4 cores to 6. Some of the biggest released processors for gamers and enthusiastic system builders are reviewed below. One of the finest processors out there, those shopping for a mainstream system; this one’s definitely perfect for them. The graphics card is one of the many amazing things that 8700K offers. It offers the fastest speed with 4.7GHz boost clock and 6 cores boosting the performance of the PC immensely. Though it does look like that the launch of 8700K was rushed to compete with AMD so it does a have a few downsides such as increased power consumption. The name of the product includes a “K” which means an unlocked core multiplier meaning that the chip is smoothly overclockable. i7-8700K leads the releases with a 3.7GHz base that can top out at the 4.7GHz base clock. The 95W rated TDP (Thermal design power) is similar to the 4 core i7-7700K from the 2016 launch. This is one of Intel’s coffee lake processors which were launched in October 2017. It’s one of the most prominent and important processors of the i5 series. 8th generation processors bring a considerable boost and further enhancement in the performance of processors by adding more cores at each level as it goes up from i3 to i5 etc. It is also considered to be approximately 15% more effective than i5-7600K. It has two additional cores as compared to i5-7600K which makes it more effective and adequate in its performance. It has a speed of 3.6 GHz which is slightly less than that of i7-8700K. 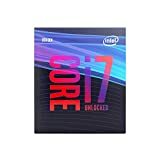 It costs $250 which is less than that of i7-8700K that costs $339. It is ranked second after core i7-8700K in Intel coffee lake CPUs with respect to price and specimens. It has a speed of 3.2 GHz and max turbo frequency of 4.6 GHz. It can be used both in laptops as well as desktop computers. Further, it has a memory of 64GB. The computer technology enthusiasts are always encountered with the question; whether Intel or AMD? There are numerous reasons due to which the answer should be AMD. Cost is often one of the major concerns for the buyers and AMD processors are more consumer friendly than Intel processors. The pricing increases as the features enhance but the cost of Intel is always higher than AMD even when both are giving similar features. Games are usually more multi-threaded these days and AMD with its Ryzen CPUs acts as the best choices for gamers who want processors for multi-threaded scenarios. Few of the processors which are the most popular ones among gamers are reviewed below. During the time of their launch, Ryzen 5 processors were the first 6-core processors when Intel was still producing only quad-core processors. The Ryzen 5 series provided the consumers with 6-core, 12-thread processors at lower costs. The processors also cost $40 lesser than its Intel competitors making it more consumer friendly. Furthermore, these are completely unlocked, come with Precision Boost and have SMT which means simultaneous multithreading. These processors are favored for heavily-threaded workloads, however, also performs well in lightly-threaded workloads and the cost difference of almost $40 with that of Intel processor also enhances its features. AMD Ryzen 7 1800x is one of the best processors in the Ryzen range. It is an eight-core processor designed to deal with the heaviest of the workloads and is a competitor of Intel Core i7-6900K. The launch of Ryzen 7 has brought great competition in the market. It is more power efficient and is cheaper than its Intel counterparts. The chips are also multiplier unlocked for easy overclocking. 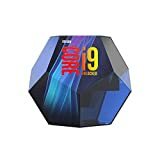 It is in direct competition with Intel 6900K but it is of double the price and 1800x is quite a bargain in comparison. It offers a great level of multicore performance. The chips have a new micro-architecture called Zen. It provides support for simultaneous multithreading. It is more power efficient and the 14 nm FinFET manufacturing process brings it in close competition with Intel. It is a game-changing chip which provides it consumers with the performance which is never seen before. By investing $1000 the consumer gets a 16-core CPU, whereas, only a few years back the same amount used to get a 6-core Intel CPU. The chips are unlocked for overclocking explorations. This processor by AMD is designed to surpass the Intel High-End Desktop. The processor is targeted for software developers, audio/video engineers, content creators etc. the high core count will greatly enhance the gaming performance even when it is not specifically targeted for gamers. Gamers are always looking for processors which come with a good combination of price and performance. The mainstream processors are one of the best options for people who need processors for strictly gaming. The Intel Core i7 and AMD Ryzen 7 series fulfills most of the demands of gamers. $300 processors are among the best pick for gamers as going above only make an overall difference of 10% in performance which is not in relation to the increase in cost. One of the most consumer-friendly processors for gamers are reviewed below. This processor is one of its kind and a wizard for gamers. It is the first 8-core processor to feature 4 GHz boost clock. Yet again it is very consumer friendly. It also comes with a Piledriver update. The processor is able to handle various applications opened at one time and this is one of the essential features for gamers. The processor features the same Piledriver which will enable the consumer the users to use the same old chipset motherboard which will again help to save money. It has an 8-core processor with 4 GHz boost clock which will greatly enhance the performance as this was one thing gamers were longing for while overclocking. It has Intel’s Coffee Lake microarchitecture. It is a low-end CPU featuring 4 cores and 3.6 GHz. It is not unlocked which means that the cores are clocked at 3.6 GHz. The L2 cache is of 1 MB and the L3 cache is of 6 MB. It supports around 2400 MHz of DDR4 RAM. The processor is well in competition with AMD Ryzen series. The i3 cores feature 1.5 MB of cache each. It includes UHD graphics 630 on-die. The base frequency of the processor is 350 MHz which can go up to 1 GHz and can also support DirectX 12. In the gaming field, Intel Core i3-8100 outperforms AMD Ryzen 3 1200. These Coffee Lake processors are likely to surpass the Ryzen series. 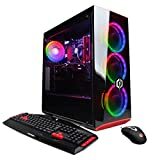 It is in competition with Ryzen series in case of pricing as well. It is an 8-core, 16 threaded processors. It is unlocked and comes with a boost clock of 3.0 GHz which can rise up to 3.7 GHz. However, the TDP is of only 65W. The processor is again quite consumer friendly but the Zen microarchitecture lags behind Intel processors when it comes to games of lower resolution. If I were you I’d definitely go for the 8th Gen Core i7-8700K Processor as a core count 6 and 12 threads will surely give an unforgettable and amazing experience for gaming. With such amazing specifications, I don’t mind spending a few extra bucks for the cooling system and power consumption. It cost almost around the same prices of the Ryzen series by AMD and offers way more. The overclock able chip is an amazing feature and the speed is worth the cash spent. The 15 years old war of the biggest CPU brands cannot be settled in a way as both these processing giants provide powerful core processing and long-run promise. Following are few things the buyer can take into consideration while making a decision between Intel or AMD. 1、The first and foremost thing that a CPU user should be considering is what both these brands focus on. The core strength of Intel is the high clock speeds ranging between 2.6-3.1 GHz. It also comes with Hyper-threading which enables the CPU to parallelization of computations (doing multiple tasks at once) performed on x86 microprocessors. AMD in contraposition keeps its focus on the mediocre clock speed of 1-1.9 GHz but with a greater number of CPU cores. This makes the AMD chip much quicker than Intel’s because in order to do a task Intel’s chip has to go through 21 to 30 separate stages while AMD can complete the same task in 12 stages. A top-end AMD chip and a top-end Intel chip cannot bring forward wholly different outcomes. And therefore can be bought solely of the need of the buyer. 2、A major consideration for any chip geek would be the value it carries. Cost or price value also has some interesting comparison between these brands. AMD is way below in the bucks compared to Intel. A-series dual-core processors, Athlon and dual-core AMD Sempron processors start at around 30 bucks (Rs. 3780 approx.). A recent shook up in the market by AMD was Ryzen 7 1800X (2017) which was 8 core processor with 4.0 GHz turbo-clock and was priced at an affordable $290. Intel, on the other hand, is almost always overpriced than AMD. With their low-end chips like G3930 priced at $40, the trend continues as we climb up the performance ladder. Intel’s Core i9-7900X CPU has 10 cores with 20 threads, boost clock 4.3 GHz and it doesn’t go with the customary Intel-based motherboard; at a price cost of $966. But with this high pricing, Intel is offering better performance per core as compared to other processors at this price. 3、CPU choice can be one big decision for all the gamers looking for a processor that supports all their gaming needs. So what do these two brands have to offer? Integrated graphics, but performance doesn’t match the expected quality, stand-alone, add-on graphics cards or graphics chips. For the gaming giants, add-in graphics ranks higher than integrated graphics and hence, Intel dominates in gaming performance. AMD has joined its Radeon brand graphics with its processor cores in one chip called an APU (Accelerated Processing Unit). This does offer a better performance but doesn’t affect the add-in graphics demand that Intel offers. Multi-threaded scenarios are best suited for AMD Chips and they run better applications which support multi-cores. All in all, Intel chips are better for the gaming systems today but AMD chips cannot be voted out as it still provides greater gaming value. 4、Another factor for consideration is the cache memory of the CPU. Cache memory increases the proficiency of the processor. So Intel provides more cache memory per core. AMD has eight cores whereas Intel has only four in a comparison between 8MB of L3-level and AMD Vision-based FX-8150. It can be deduced that Intel’s memory is more undivided in 4 cores and therefore could be easily retracted without transmitting data to and fro between hard drive. Intel comes with 512KB L2 cache that uses inclusive principle. But it comes with a disadvantage of repetitive information which the CPU might not ever use. When it comes to its 256KB to 512KB cache leap; the comparison, however, shows us how AMD will benefit the users differently than Intel. Processors have been incorporated with multiple cores which are available in personal computers for over a decade now. This has helped the manufacturers of the chips to avoid the clock speed issues by multiplying the amount of data that could be handled by the CPU. Initially, only two cores were introduced into the chip but over the years the option for 4, 6 and even 8 cores is provided by manufacturers. Two cores in a single processor have provided tangible benefits due to the multitasking nature of modern operating systems. Intel Hyperthreading technologies can even virtually double the cores that the operating system sees. Virtualization has enabled the servers to process more densely; this means one CPU can be home to a number of VMs. So, access is granted to more cores per socket by the multi-core CPU which means resources are distributed to a bigger number of VMs which is why few IT departments opt for core-dense CPUs. This is followed by AMD’s core-dense Ryzen CPUs has a single chip and supports upto 8 multi-threaded core and 16 cores in total is definitely a good news but means more competition in the high-performance processor space. If you’ve arranged a powerful GPU, the Deca-core 6950X offers incredible gaming performance. Though Intel 6700K and 7700K are less expensive than its 6-core 6800K the 6800K is definitely worth every penny as the with this upgrade, your gaming experience will genuinely improve. Now keeping all these software in mind, it can be established that a fast CPU might be required by certain organizations but even if you have the fastest processor in the universe but the usage is extremely storage or memory intensive and you do not have sufficient of either one of these or if any one of the said components isn’t fast enough; your application will not be as fast as it can perform. It is said that “a chain is only as strong as its weakest link”, this is exactly the case with processors. If you keep on strengthening the already strong features; the performance will not improve i.e. getting more memory space or upgrading to SSDs. Overclocking or CPU locking is increasing a component’s clock rate and running it at a higher speed than it was designed to run which usually applies to the CPU or GPU, but other components can also be overclocked. So in simple words, it refers to pushing your computer components harder and faster than the manufacturer designed them to go. However, overclocking can risk your computer to have a meltdown as its running at a higher speed than the rated speed. But the recent work in this department has led to significant developments so your processors don’t dissolve when overclocked because nowadays the processors’ speed rating states the maximum speed for the batch of manufactured product can handle. So basically, get the most out of your CPU you need a decent motherboard. The motherboard you’ve chosen is one of the many contributing factors to the performance of the processor. If you’ve no interest in overclocking or high-speed memory, then the H-series motherboards will be fine. If you are desirous of squeezing a little extra out of your CPU then the Z270 for the Intel processor is definitely the solution here. Forerunner Ryzen also has a dedicated AMD application to help straighten out the rough edges of overclocking from the comfort of Windows. Also, the upcoming APUs that are Zen-based and CPU by AMD will function with one chipset and socket. If you want the upgrade to enhance your gaming experience than the graphics card should be upgraded as most recent games don’t really lean much on the CPU but rely on the GPU. Overclocking can increase the power use faster than speed but power use varies with the architecture of the chip. Overclocking requires more power, just as higher revs on an engine makes the car go faster. As a result, it creates more heat but CPU will not be the biggest reason for power draining performance, compared to other components. If your processor offers a high clocking or its overclocking is unlocked then there are chances that your processor can get overheated so it’s better to invest in a good cooling system. Cooling systems aren’t that expensive and you can buy a good one with research and online. The smallest part in the programmed orders is the threads. Though the execution of threads are different and depend on the type of the processor but the function is similar as these executioner thread layering produces commands and makes the use of software, possible. The said price range is dominantly led by X-series processors by Intel. The buyer gets 12-core that compete with AMD processors, Intel’s 12-core X-Series chip and AMD Ryzen Threadripper processor. However, the Ryen 7/5/3 desktop processors, in comparison with AMD variant, consumes less power. Even though nobody can deny the huge difference in pricing between AMD’s top-end Threadripper chips Intel’s Core i9 CPU; the latter is enormously powerful and just slightly better than the former, at gaming. Therefore better efficiency and high clock speeds rank Intel’s chip ahead for gaming at this price point. Favorites for this range can again be Intel’s X-series. Like all the chips in this series, Intel’s X299 chipset and a new compatible motherboard need to be accompanied by the huge LGA 1066 seat. This can, however, drain your power and so requires a high-end graphics card backup. However, it doesn’t consume as much power as the AMD alternative. It has more onboard cache than AMD. AMD’s Ryzen 7 1800X chip and Intel’s new eighth-generation Core i7-8700K processor are leading this pack. 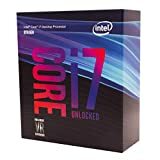 Core i7-8700K uses the same processor seat as sixth and seventh generation processors by Intel and requires a new motherboard as the older chipsets aren’t compatible with the system. Intel offers a better single-threaded performance and a much better clock speed, visual enhancement in gaming outshines the AMD processor even though it costs more. 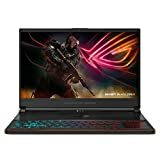 The computer market has evolved so much that even a buyer who is tight on a budget is open to a gaming experience to quality performance as there are some amazing alternatives; even at price as low as under $200; AMD and Intel have got you covered. One of the most inexpensive gaming processors is Intel’s Core i5-8400. It runs on its 6 cores and therefore six threads are sufficient enough to do the job, especially when it offers 3.8GHz with all running and 4.0GHz when only one of the cores is used. We are dedicated to helping the gamers find the best components for a perfect gaming experience and this is why this series is devoted to helping gaming enthusiasts put together an amazing PC for gaming. You can also check other articles i.e. 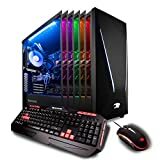 best motherboard for gaming and best keyboard for gaming. If you’re investing in something, it is only for your own benefit that you do the proper kind of research because believe me when I say that if you’re certain about your needs and what you want; you can get exactly that by knowing where to look. We’re certain that if you’ve read this article till here, you’ve done justice to the amount you’re going to spend as these processors are worth every penny spent on them. We hope that we helped and wish that you have the most amazing gaming experience with your new processor. Have great day gamers!